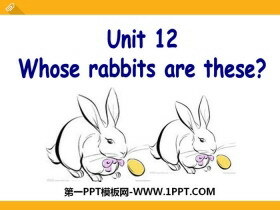 《Whose rabbits are these?》PPT课件 第一部分内容：Let's sing a song Old MacDonald had a farm If you want to go to the farm, you have to pass the 3 levels! 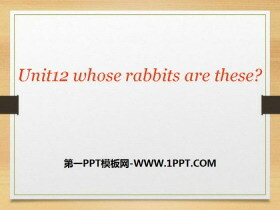 如果要进入农场，要过三关哦！ ... ... ... 《Whose rabbit..
《They're lovely》PPT课件 第一部分内容：造句兵工厂 1、Theyre lovely. 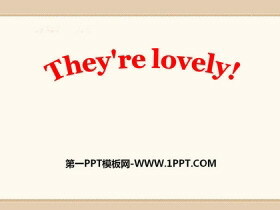 Theyre =They are 他们是 你能够根据图片说出句子吗？ ... ... ... 《They're lovely》PPT，第二部分内容：Lets chant（要表演动作哦） 小猫cat 喵喵喵..
《How many people are there in your family?》PPT 第一部分内容：新课导入 People 人，人们。这个词是个集合名词，单复数形式一样。 如果后加s时表示种族，民族。 There are many people in our classroom. 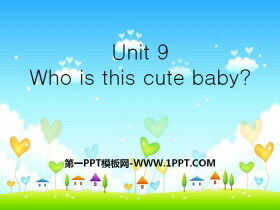 我们教室有很多人..
《Who is this cute baby?》PPT 第一部分内容：review words father 爸爸 mother妈妈 sister 姐妹 brother兄弟 grandpa(grandfather） 爷爷，外公 grandma(grandmother） 奶奶，外婆 ... ... ... 《Who is this cute baby?》PP..
《Apples are good for us》PPT课件 第一部分内容：Review words can 能，能够 pear 梨 peach 桃子 fruit 水果 watermelon 西瓜 grape 葡萄 banana 香蕉 apple 苹果 orange 橙子 Lets play games! 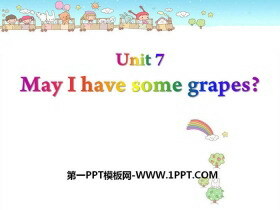 Whats missing in the follow..
《May I have some grapes?》PPT课件 第一部分内容：新课导入 What fruit do you like? 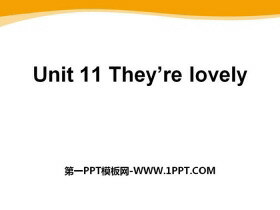 I like + 水果（复数）. 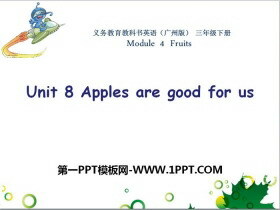 What fruit do you like? 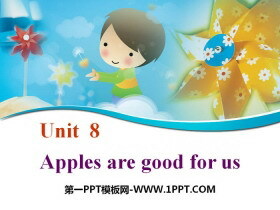 I like apples. 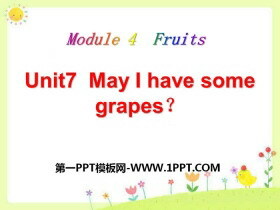 ... ... ... 《May I have some grapes?》PPT，第二部分内容：词语应用..
《May I have your telephone number?》PPT课件 第一部分内容：Let's chant Do you have a telephone? 肯：Yes I do. 否：No I don't. 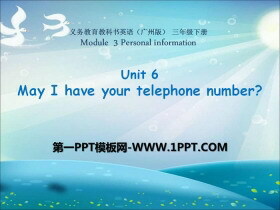 May I have your telephone number? 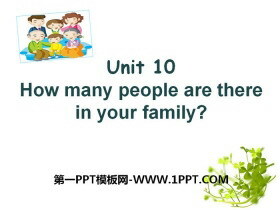 肯：1.yesIt's +电话号码。 2.My telephone number is..